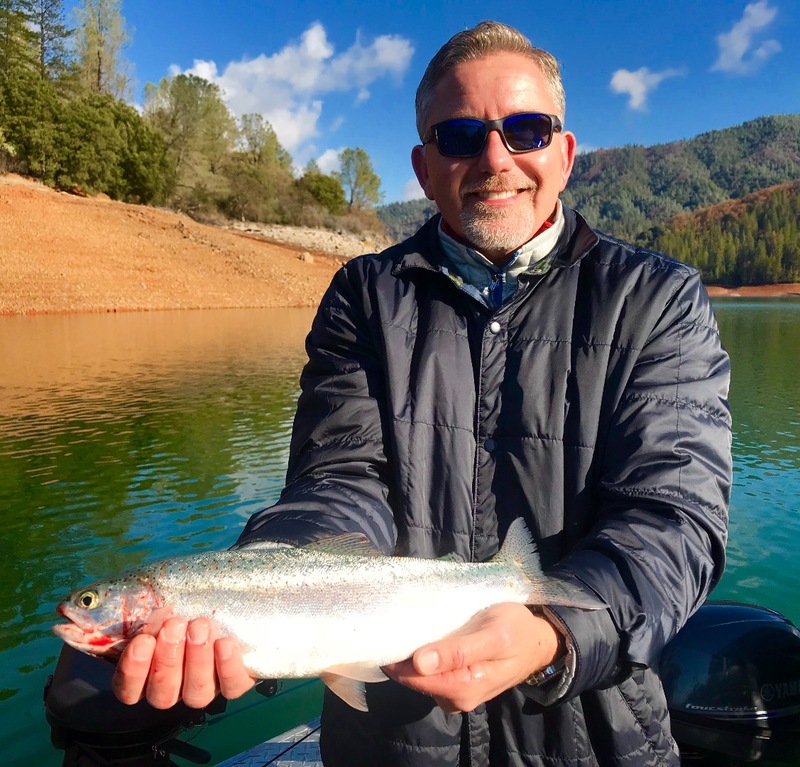 The Shasta Lake rainbows are in great shape and are a real treat for any meal during the holiday season! We've been on Shasta Lake for most of the past week and we've seen some good days and some not so good days. We've caught some nice rainbows and browns with the bigger fish coming earlier last week. Although yesterdays wet weather never materialized, the trout responded to the low pressure system and turned off the good bite. We managed to catch fish both yesterday and today, but the scenery was better than the fishing. A stable weather pattern is forecasted for the coming week so we should see an improved bite. All our browns and rainbows are coming off the 58 degree surface and I expect that trend to continue looking ahead. 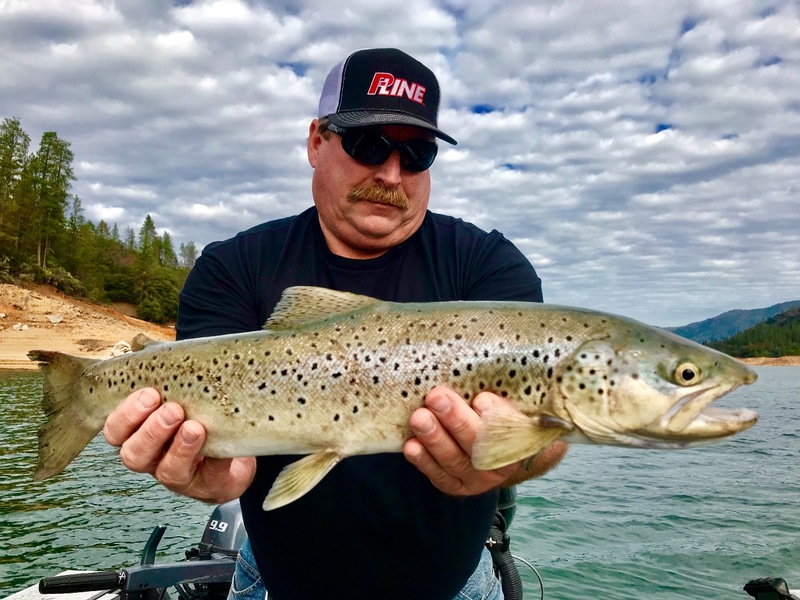 We'll be running trout trips on Shasta Lake all year so if you would like to troll for rainbow and brown trout, check your calendar and give me a call or visit my website at www.jeffgoodwinfishing.com and leave me a contact message to set up your trip! I have plenty of dates available for this winters long fishery. 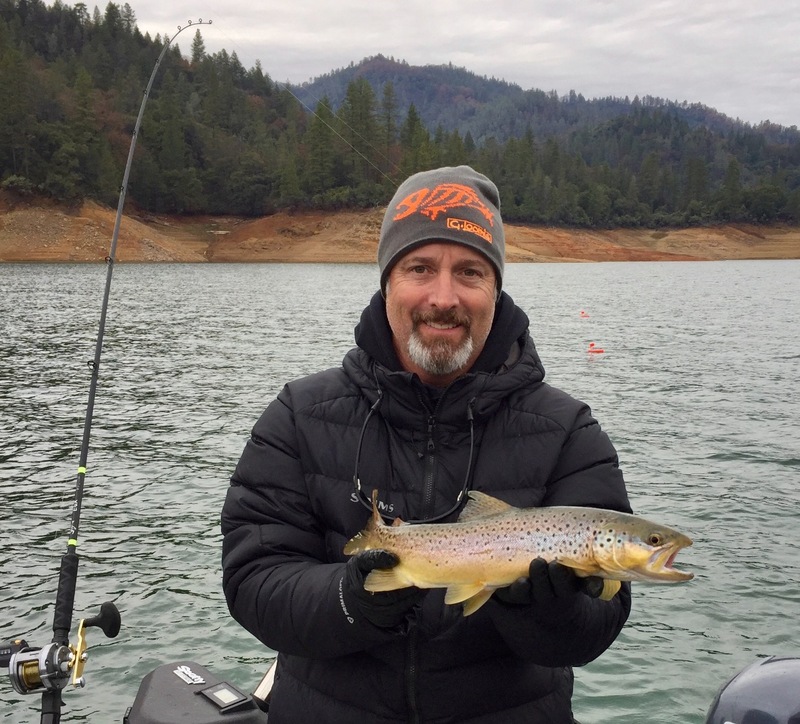 Fishing Shasta Lake in the winter can be a bit on the cold side, but our covered and heated passenger area aboard our 24' Willie Boat makes for a very comfortable day on the water, even on the chilliest of days. Lets go fishing! 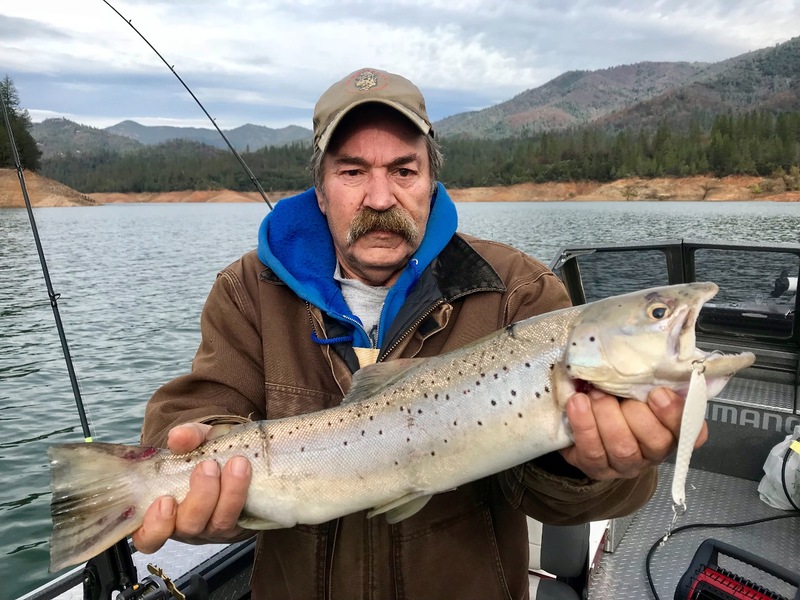 Good German brown trout fishing on Shasta!